Receive God’s Word implanted which is able to save your soul (James 1:21). If you will not humbly receive his Word, there will be nothing left for God to do but weep over you. He has warned us; he has revealed his salvation in Christ Jesus; he has waited patiently for a world to repent (2 Pet 3:9). But the day is coming when all of God’s patient warnings will come to an end. On that day, the King will return and righteously judge. His just decisions will all be based upon his humility—and your own. 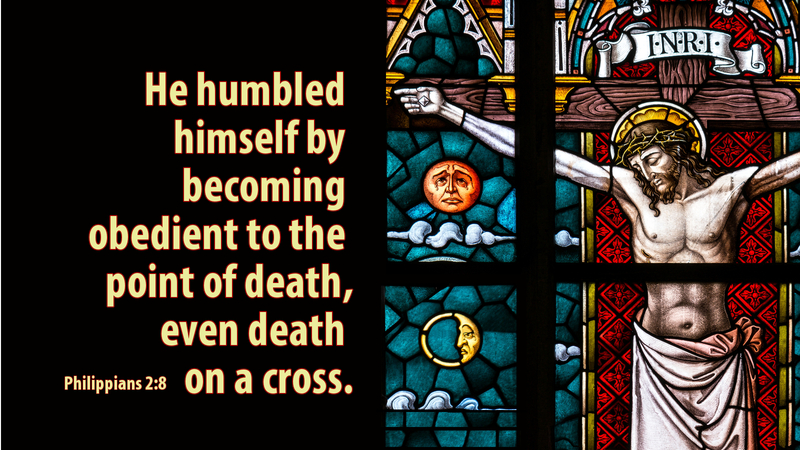 Jesus “humbled himself by becoming obedient to the point of death, even death on a cross.” But God has lifted up his lowly servant so that every knee will bow before him on that coming day. Bend your knee today. Confess that Jesus is Lord and King over life, death, resurrection—and you. Become a holy vessel in his living temple, the one, holy, catholic, and apostolic Church. Humbly receive by faith the Living Word, Jesus Christ, who is able to save your soul. Prayer: Spirit of the Living God, give me your strength to hold fast to the word of life. Amen.